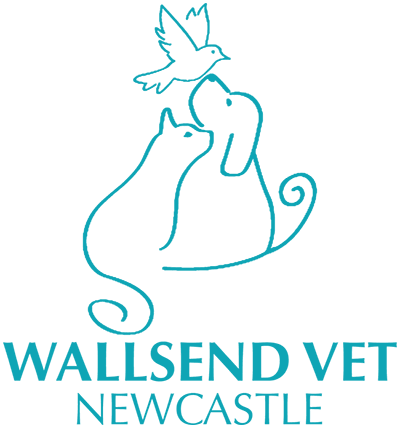 At Wallsend Vet Newcastle, we have a fully-equipped, air conditioned cattery where we can accommodate up to 16 cats. Our veterinary hospital takes special interest in feline wellbeing, which has inspired our expansion to include a fully-serviced Feline Health Centre that caters for all feline health needs. The Feline Health Centre offers our cats a quiet seating area, consultation room and hospital wing. This wing is separate from the main hospital and away from potentially noisy dogs. Our goal is to reduce stress levels and to make visits to the vet more enjoyable for cats. If you’re going away on holiday for a long weekend or perhaps you’ll be away for more than a week, we can care for your furry friend to make sure he or she is well fed and looked after. Your cat will have so much fun, it’ll be like they’ve went on holiday too! Don’t hinder a friend or family member with checking in on your cat while you’re away. Instead, rest assured knowing the cat experts at Wallsend Vet Newcastle have your pet in good hands. We love all animals! Yours is no exception. To ensure your cat is ready for his or her holiday, read the following information so you know what to expect when checking into our cat clinic. Our first priority is your pet's health. We require your cat be up to date with an F4 vaccination before boarding. The F3 vaccine is not sufficient, as it does not protect against feline Chlamydia. On admission, please present a copy of your cat’s F4 vaccination certificate. Our nursing staff will administer a compulsory flea treatment of either Capstar (tablet) or Frontline (spray). This ensures the cattery – and most importantly, your cat – is protected from fleas. The fee is $25, which includes the first day of boarding and flea treatment. A complimentary dental check is also provided to evaluate your cat’s oral hygiene status and if necessary we will provide you with a dental treatment plan or hygiene maintenance plan. The standard $18 boarding rate applies to every other day of your cat's stay. Additional daily rates will apply for public holidays (+$10) and administering medications (+$5). Please note our daily rate is calculated on a 24-hour basis and there are no boarding admissions or discharges on Sundays or public holidays. For peak holiday periods, a non-refundable deposit of 50% must be received two weeks prior to your cat’s stay. Be sure to book early as we are usually fully booked for Easter, Christmas and school holidays. Every day our team will take great care of your cat by monitoring his/her feeding and toileting patterns as well as his/her overall well being. If we have any concerns, a veterinarian will examine your cat and proceed with any necessary treatments. By signing our admission consent form, you provide us with permission to take care of your cat in this way and to charge accordingly. When your cat's holiday draws to an end, full payment is required on departure. Contact us on (02) 4951 4222 today to book your furry friend's next holiday!